An event highlighting the need for individuals and families to take preventive health measures and schedule precautionary screenings will be held Saturday, June 2, at South Division High School, 1515 W. Lapham Blvd. “Celebrando Nuestras Familias MKE,” Spanish for “Celebrating Our Families Milwaukee,” will offer attendees the chance to get vision or cholesterol screenings, learn the signs and symptoms of diabetes and other diseases, receive information on health insurance and get advice on how to navigate health systems, according to Jesus Barbosa, health systems manager/primary care systems for the American Cancer Society (ACS), which hosts the annual event. 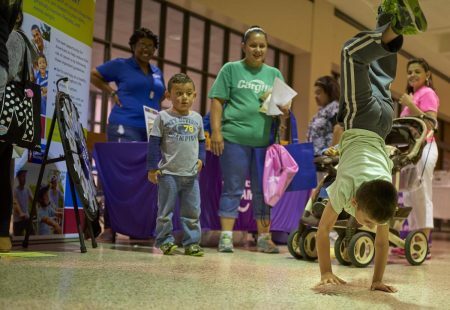 In its 12th year, the fair was formerly called, “Dia De La Mujer Latina.” It will also feature entertainment and workshops on making healthier lifestyle choices, and will provide access to a variety of additional medical services, he added. “We want to continue to get the message to the Latino community about how they can make adjustments and become more preventive in terms of health through diet and exercise,” Barbosa said. The event is also important because it opens the door for attendees to receive crucial follow-up services, explained co-chair Tammy Olivas, director of Hispanics for School Choice. 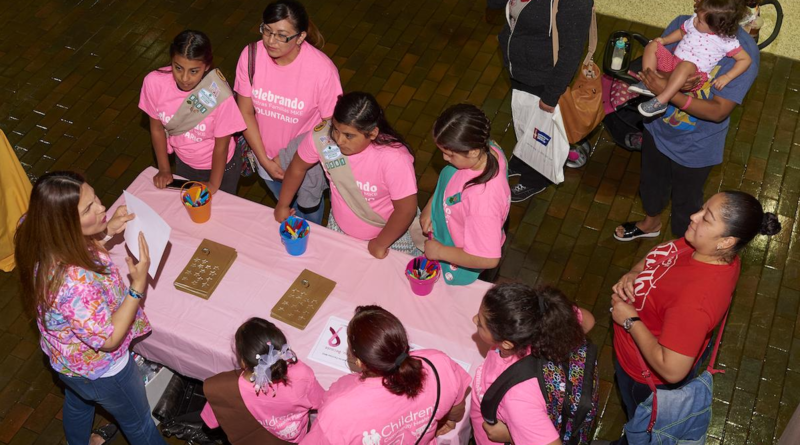 “Many in the community are in need of more comprehensive services such as breast exams and they can get connected to those there,” Olivas said, adding that representatives from several organizations will be on hand to help schedule follow-up screenings. For example, women over age 40 will be encouraged to schedule a mammogram, said Amberlea Childs, program manager of the Susan G. Komen Foundation’s Conversations with Komen program. That day, the organization will host a conversation for women to discuss breast cancer and to get breast cancer screenings, she said. The target population at the event will be women who don’t have insurance or who don’t have enough insurance to obtain mammograms, Childs added. “We’ll be looking to speak to women at the event, and ask them if they know that free screenings do exist and if they’ve had or need one,” she said. Those who are eligible can register to receive a free mammogram during a follow-up event, which the foundation will co-host with the Milwaukee Health Department on July 31, she added. Having access to and learning about available health care services in a community setting is especially important considering the current political climate, explained Childs. “It’s unfortunate that politics is starting to intervene but individuals are more fearful of going out and receiving help while the need is increasing,” she said. Milwaukee’s Latino population was estimated to be more than 108,000 in 2014, comprising 18 percent of the city’s population, according to data from a Greater Milwaukee Foundation study conducted by the UW-Milwaukee Center for Economic Development. Language and citizenship status present additional barriers to access preventive care, explained Barbosa. Twenty percent of Latinos in Milwaukee were not U.S. citizens in 2014 and 22 percent of Hispanic households in the city spoke limited English, according to the study. The celebrando event lets residents know that regardless of citizenship status, there is help available, whether the need is an answer to a question about insurance, information about prescriptions, transportation to appointments or a cancer screening,” Barbosa added. The health fair, which is being sponsored by Kohls, Anthem Blue Cross/Blue Shield, United Healthcare and many other organizations, is also a way to recognize those who are struggling with cancer or who’ve already died from the disease, Olivas said. Cancer is the leading cause of death for Latinos and accounts for 22 percent of all deaths among Latinos in the U.S., according to ACS data. “The event is a celebration of life and of living a healthier lifestyle while also offering a way to remember the ones that have passed through their battles with cancer,” she said.